Chris Distefano is a well-known comedy actor, scriptwriter and stand-up comedian. Let’s take a look at his childhood, family, personal life, career, achievements etc. 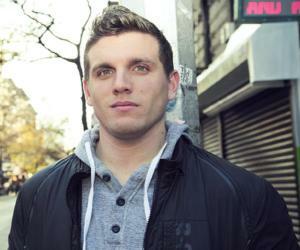 Chris Distefano is a well-known comedy actor, scriptwriter and stand-up comedian. Among his popular works are MTV’s hit shows ‘Girl Code’ and ‘Guy Code’. Chris is one of the star artists at Carolines on Broadway, a venue for stand-up comedy in New York City. He has also contributed as a writer in many of his acts and shows. Most of the characters that he plays in his comedy acts are characters of people whom he knows in real life. They are the people who have had an impact on his life in some way or another. 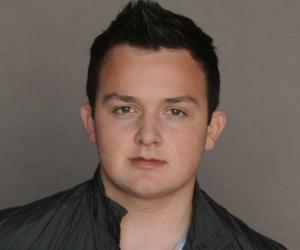 Chris has already stepped into Hollywood and has appeared in some comedy shorts as well. Some of his notable works in films are ‘Don Rickles: One Night Only’ and ‘Is This Thing On?’ As a host, he has been associated with shows like ‘Benders’, ‘Failosophy’, ‘Money From Strangers’ and ‘Ultimate Beastmaster’. On many occasions, Chris has been invited as one of the guests on radio shows, hosted by Gregg Hughes and Jim Norton. Chris was born on August 26, 1984 in Brooklyn, New York City. He was raised by his mother as his father passed away when he was young. Chris attended St. Joseph's College and holds a Bachelor's degree in Psychology. He completed his Doctor of Physical Therapy degree from New York Institute of Technology. Chris was in a relationship with Carly Aquilino, his co-star from ‘Girl Code’. A few years later, they broke-up owing to some personal issues. Chris is now enjoying a happy married life with Jazzy, a Zumba instructor. Chris and Jazzy are blessed with a daughter named Deliah. Chris always wanted to be in a profession that could make people laugh. He was inspired by his father, as he too was a humorous person. Chris was also a fan of the legendary podcast artist, Jay Leno. Not surprisingly, he decided to become a comedian at a very young age. Chris started off by writing short comedy scripts and by performing the same at the local comedy club. Most of his acts were inspired by Jay Leno’s shows. Apart from performing, he also observed the acts of other comedians who performed at some top-notch comedy clubs. He viewed many acts, performed by famous comedians like Kevin Hart and Chris Rock. Chris then started forwarding his scripts to these prestigious comedy clubs. After a few initial rejections, he finally got an opportunity to present an act at one of the most popular clubs, Gotham Comedy Club. All his acts were liked by the audience and soon offers started to pour in. Chris then went on to perform at many other comedy clubs like Carolines on Broadway and Comedy Cellar. Chris’ breakthrough came in 2010 when he hosted the Fencing Masters US Olympics. After displaying his hosting skills,Chris was suddenly the most sought-after celebrity host of the time. He then went on to host the NCAA Women's Division I Basketball Championship in the year 2011. The same year, he debuted as a stand-up comedian. 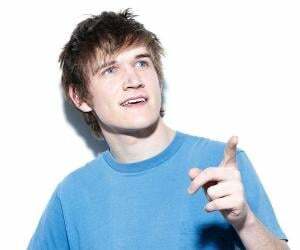 He appeared in the second season of MTV2’s comedy reality show, ‘Guy Code’. The show basically showsthecodes of conduct of men in asarcastic and satirical manner. Since ‘Guy Code’ hadan appealing and fresh concept,it was appreciated by many and hence it enjoyed an impressive viewership. 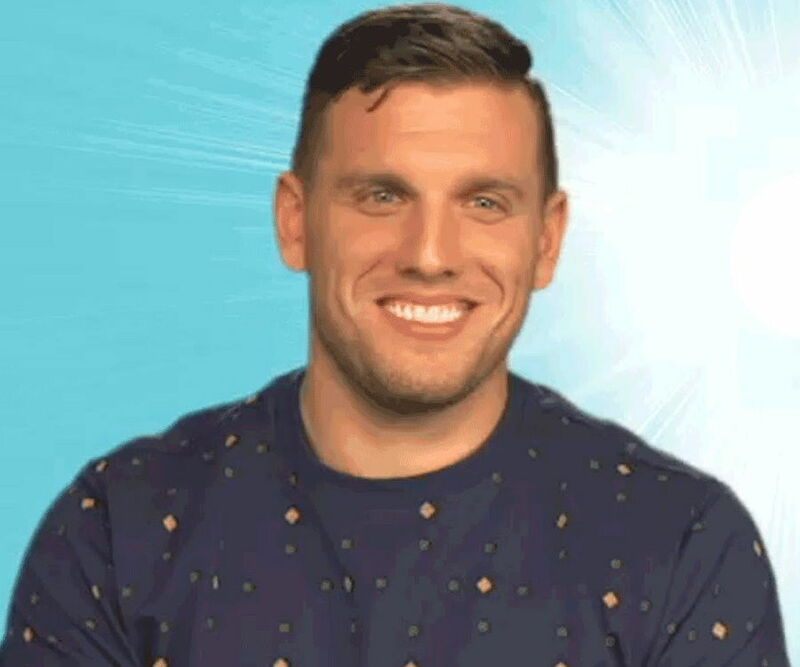 The second season of the show, the one in which Chris made his debut, was later announced as the most liked season.Chris is still a part of the show. 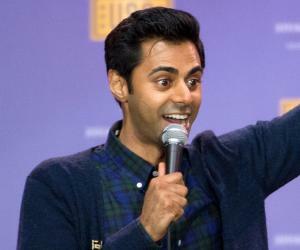 In 2012, he once again appeared as a host, but this time around it was for a comedy show. He was the host of ‘March Madness Comedy Competition’, held at Carolines on Broadway. Thanks to his comedy skills, he ended up being one of the well liked hosts who could entertain others with his wit. He gave the perfect opening for shows performed by ace comedians like Richard Lewis, Gilbert Gottfried and Artie Lange. 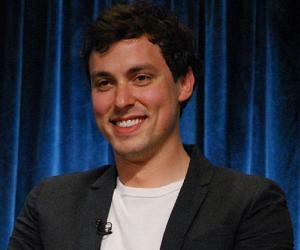 2012 turned out to be lucky for Chris as he was selected among many other comedians who were asked to perform in the Comedy Central’s show, ‘Comics to Watch’. The show was part of the New Year Festival in New York City. He was also bestowed with the title‘New York’s Funniest’, and was chosen as the script writer for Breakout Artist Comedy Series, held at Carolines on Broadway. Chris has been a regular guest on ‘Opie with Jim Norton’, a radio show hosted by Gregg Hughes and Jim Norton. He also has a long time association with Sirius XM radio. In 2013, Chris was cast in the MTV show, ‘Girl Code’. The show was an extension of‘Guy Code’ and spoke about the relationship that girls share with each other. He then presented a 90 minute act at the 2013 comic convention, ‘Comic-Con’ held in San Diego, California. He, along with comedian Lil Duval, hosted the first season of MTV’s TV show, ‘Ain’t That America’. The show was rated TV-14 due to the presence of violent scenes and inappropriate language. The most notable work of Chris in the year 2013 came through CBS’ late-night talk show, ‘Late Show with David Letterman’. He was the guest artist on the show,which was his first prominent television appearance. He also hosted MTV’s VMA pre-party, ‘Charlamagne & Friends’. During the fall of 2013, Chris appeared in the third derivative of ‘Guy Code’ which was titled as‘Guy Court’. The show had a courtroom set-up where men were convicted of violating the codes. In the show, Chris played the judge as well as the convict. Chris started the year 2014 by hosting the sports talk show, ‘Off the Bat from the MLB Fan Cave’. He was accompanied by actress Melanie Iglesias. He was then cast in the comedy series‘Benders’, in which he played the role of Anthony Pucello.